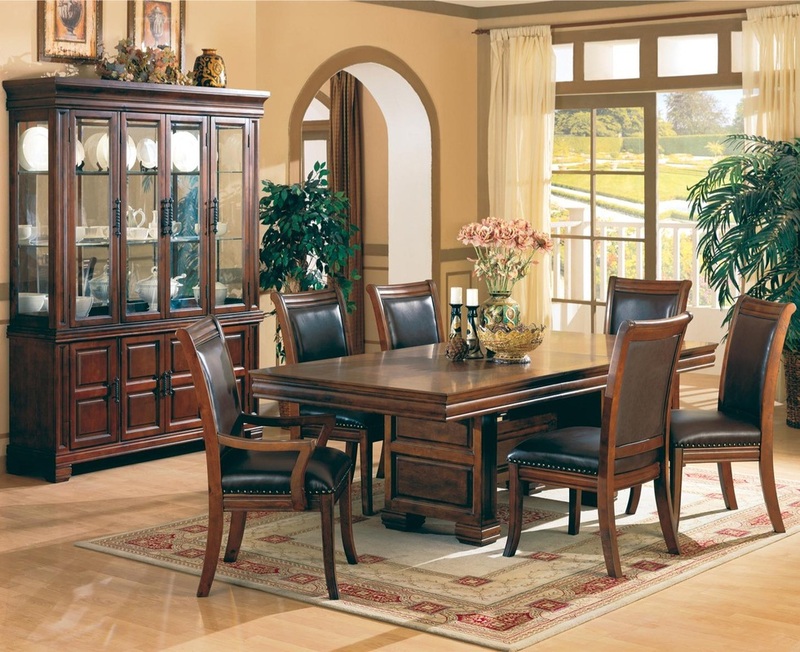 The Westminster collection offers large size bedroom and dining furniture with a rich finish to give your home a true taste of the Old West. Made of Birch solids and veneers, the strong look of the panel bed will become the focal point for your master bedroom. Useful storage pieces with the same look continue the bold style. 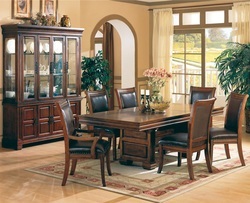 The handsome dining group offers a beautiful double pedestal dining table with coordinating leather upholstered chairs and a gorgeous china cabinet. Bull nose hardware, block feet, and paneling throughout add stylish detail.